Portable scoring and perforating machine. 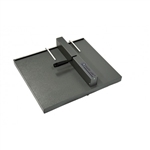 Scores and perforates stock up to 12" wide. Handles light bond to heavy card stock and laminations. Includes one scoring blade and three perforating blades: fine, medium and coarse. Paper Scoring and creasing equipment is ideal for producing professional looking tent cards, menus, greeting cards, informational packaging and more. 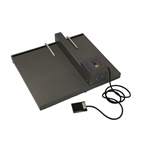 These quality scoring machines create a spine on a document with a pronounced crease or indentation. From portable scorer equipment to table top paper scoring machines, Factory Express has the paper scoring and creasing equipment you need to channel, score or perforate.